Hey guys! So as most of you may know I’m currently in Los Angeles on a study abroad exchange program with UCLA from my home university at Royal Holloway. I’m here for a full year and I’ve learnt a lot in my first three months that I hope to share with you and that I hope is helpful! In my video I talk about my VISA application and interview process. Plus, lots of tips and tricks about how to make friends. 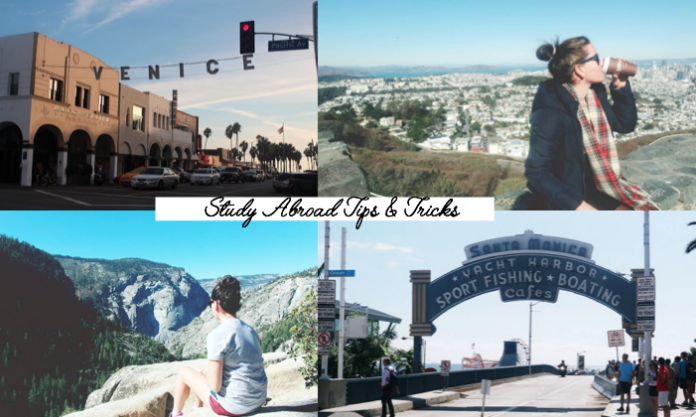 This is such a huge step because you have to decide if studying abroad is really for you. Then you have to sell yourself to an audience you don’t know who are judging your application from abroad. Getting this right is the first essential step in your journey. I also talk about how to get a VISA from the US Embassy and what the interview and application process is like. I stressed out a lot over my VISA when I shouldn’t have. It really is not as bad of a process as some people would have you believe. There’s various other steps to the application process like choosing your university, campus, booking flights, housing, extra curricular etc. that I didn’t really think about until the issues arose so I address them in the video and I really hope it helps! My experience at UCLA was very positive. I made a bunch of friends and had a lot of experiences that I never would have experienced if not for UCLA. However, it wasn’t all plain sailing. Things like being detained for not having correct VISA work and the ridiculous rent prices are all things you must consider before moving to a city like Los Angeles. Let me know if you’re thinking of going abroad and where to! Or if you have any questions about UCLA!